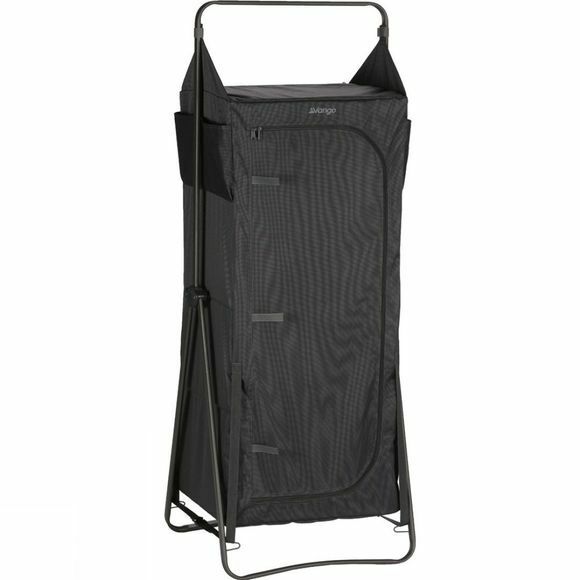 This highly versatile piece of furniture provides an excellent storage solution for either folded clothes or those that need hanging. The Mammoth Duo Wardrobe Storage Unit from Vango can either be set up as a wardrobe, which includes a hanging rail and side pockets, or as a four shelf cupboard. To convert from cupboard to wardrobe, simply unzip the hard based shelves, which drop to the side and provide additional storage pockets, leaving the main space ready to hang your clothes. 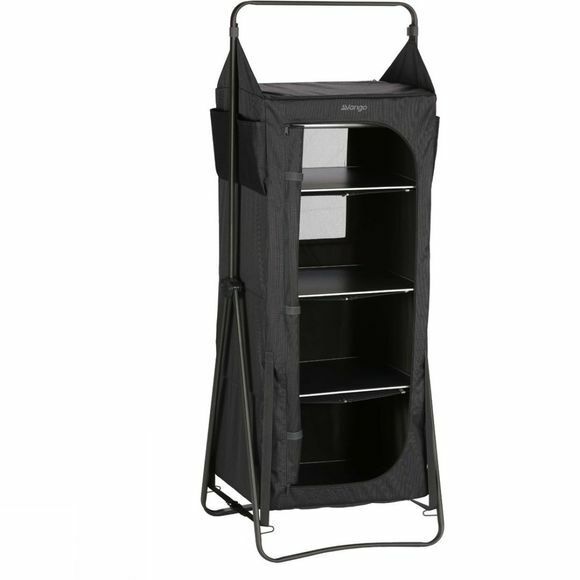 This is a great multi functional unit designed to save space in transit and organisation on the campsite.